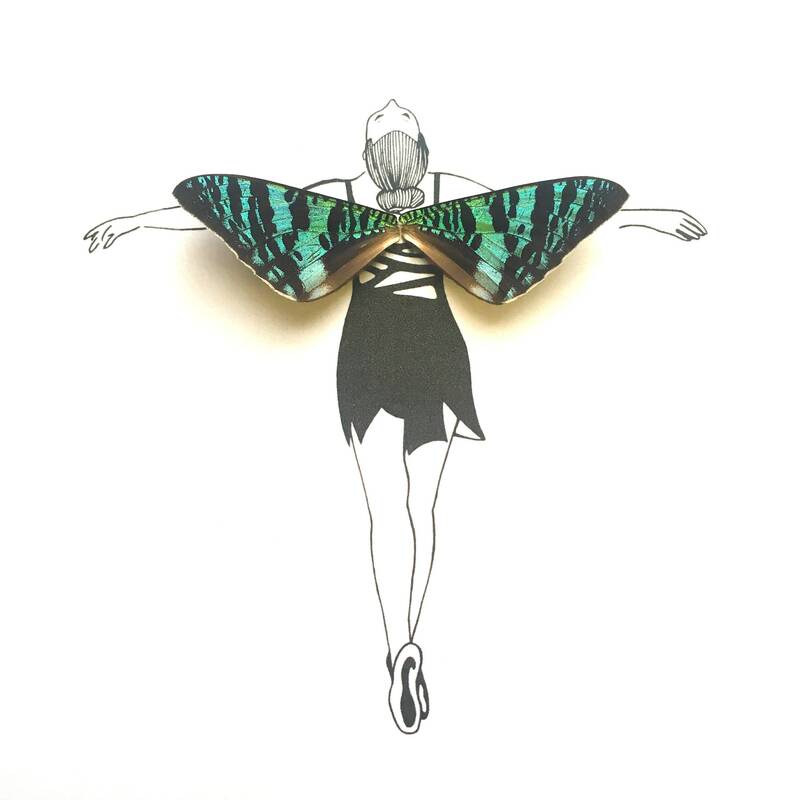 Framed print of original ink drawing by Holly Ulm with real butterfly wings on the back of this ballerina fairy. All images are archive quality inks, and card stock. 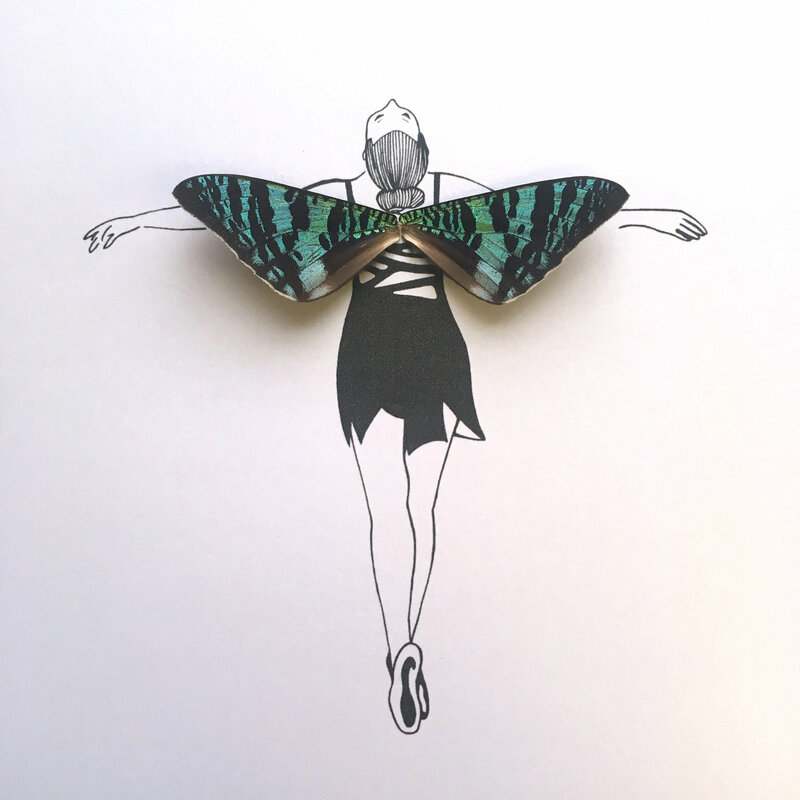 Paper has a shimmer to it making image appear more black or grey from different angles and under different lighting, lending itself well to the iridescence of the butterfly wing(s). Each piece is one of a kind, and much prettier in person. Check our reviews.